SUP Fit classes to be ready to go! We have just started to trial our SUP Fit class! And looking for participants! Let us know about your interest and join our groupe. 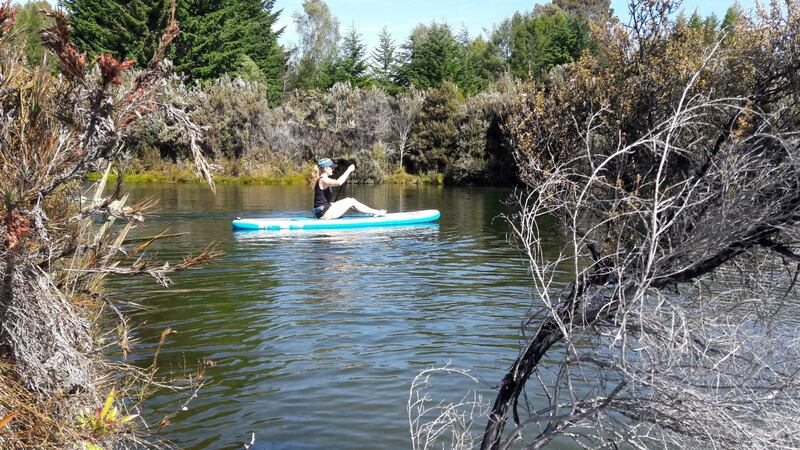 If you have your own SUP, bring it along. We have boards, paddles and PFDs for 5 participants. Woo hoo! Red Paddle boards rock! You can try them for yourself because these are the boards we use! Interested in a purchase? Give us a bell. Even though the summer season 2017 in Fiordland was not too long as a year before, we had so much fun again with you, guys, on SUP boards. Thank you much! All the events and trips we have made with you make us sure that our effort and activities make sense, which is great! So we have already started with developing of new activities and SUP events for next year. Expect even more fun, even more adventure trips to Milford Sound and also more sport events on boards with us - with Te Anau SUP! We've had an incredible week of SUP in Fiordland. Haven't seen us out at the lake? That's because our boards have been hired and taken to beautiful places! You can hire a board to take to the beach, the river or beyond! — at Mavora Lakes. Dear paddlers, we are a small excited SUP crew :-). You can recognize us even better via our new banner. See you by the lake! Lake Henry as a calm, a quiet and a restful alternative not so far from Steamer's beach, offers also great conditions for SUP not only during the windy days. Especially beginners and families with small kids appreciate this lovely area! It is up to you, paddlers...Let us know which place do you prefer for SUP! Dear visitors and paddlers, welcome to our new Te Anau SUP webpage.You can follow us even easier here now!